The X25 server supports your choice of up to (4) traditional telephone company lines and/or up to (4) XBLUE certified VoIP telephone lines for a total system capacity of (8) outside telephone lines and up to (16) X3030 IP Phones – no additional hardware needed! 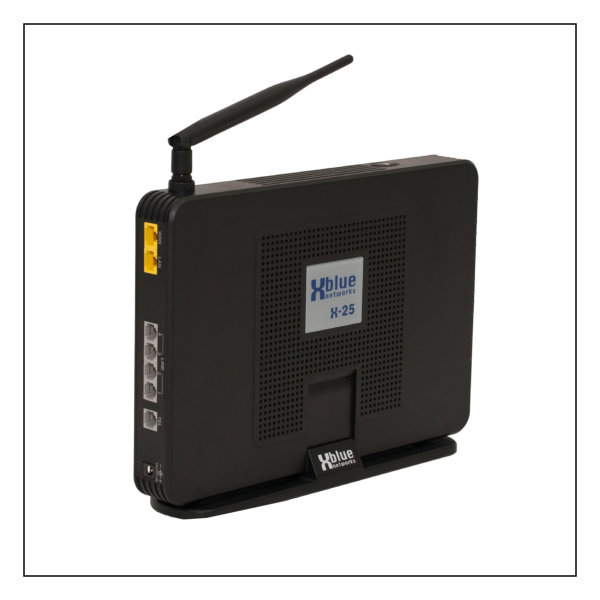 The X25 includes popular business features like Automated Attendant, Voice Mail system with individual boxes for every user, Call Announce Intercom / Paging, Caller ID, Hold, Conferencing & Call Forward to Cell Phones. A Standard Cordless phone can be easily connected to the X-25 system enabling mobile access to answer incoming calls and features like voicemail, hold, transfer and paging.